Valencia is the world most consumption orange or called “King of Orange”, perfect sweet and sour, enrich high Vitamin C which beneficial to immune system and also consist of powerful antioxidant protect skin damage. Tangerine had been well-known in Thailand for long , unique scent and taste also enrich high Vitamin C as a powerful antioxidant protect skin damage, prevent cold and allergic. ed the best period of harvest to the most effective nutrients , rich of high Vitamin C which beneficial to immune system. Thirst quenching with the sweetness taste of juicy pomelo, packed of vitamin C that boost immune system and Iron help prevent anaemia. High Vitamin C nourishing which help protect skin wrinkle and Pectin help alimentary system works properly. We the best mature grape with care to produce tasty juice which contain plentiful of Iron that prevent anemia, Vitamin C keep Artery in a good condition. Juicy pineapple, especially ed farm in order to get perfect combination of sweet and sour, abundant in Vitamin B1 help protect against Beriberi and Calcium is necessary for the bone. CHABAA’s secret recipe “ Peach & Mango” with well- blended taste, it contains high concentration of Vitamin C which can help to fight common cold and Vitamin A is useful to help for maintain eyesight. Carrot is packed with full of Vitamin A that help maintain the eyesight, prevent infection of alimentary, intrarespiratory and urogenital system. Completed Vitamins that human needs in Vegetable & Mixed Fruit Juice, Vitamin A help maintain the eyesight, Vitamin B1 prevent Beriberi, B2 relieve migraine pain. Vitamin C can help boost immune system and Calcium may strengthen teeth and bone too. Water is the main component of watermelon not only quench the thirst but it can reduce neurasthenia as well. Multivitamins vegetable is good refresher and it also great for health. Good taste with fully benefits Vitamin A purple carrot and vegetable will protect the eyesight and defense infection occur. Did you know Pink Guava consist of Vitamin C more than 5 times of Orange? It can lower your chance of getting high blood pressure, and Lycopene improve skin for more radiant. Aloe Vera is plentiful with Vitamin A, B1, B2 and C, help prevent Diabetes, constipation and relieving gastric ulcer. period of harvest to get the most tasty mango. Moreover, Mango fruit is rich in pre-biotic dietary fiber, vitamins, minerals, and antioxidant compounds. Fresh up with great scent and taste of mango mixed with sourness of passionfruit rich in Vitamin C to accomplish your beautiful day. Sweetness taste of Lychee full of Vitamin C that increase body’s ability to boost immune system, brighten up the skin including Vitamin B1 to prevent Beriberi. The Ancient Persian believe that Pomegranate can give you all nutrient you need. It’ contains high concentration of Vitamin C , A, E and Folic Acid. Pomegranate together with Blueberry give you perfect blended of taste, freshness and benefits. Master of berry is Blackcurrant which contains high Vitamin C, a powerful antioxidant. Flavonoid may protect the body’s cells harmful oxidation . Potassium prevents dehydration and helps blood pressure reduction. 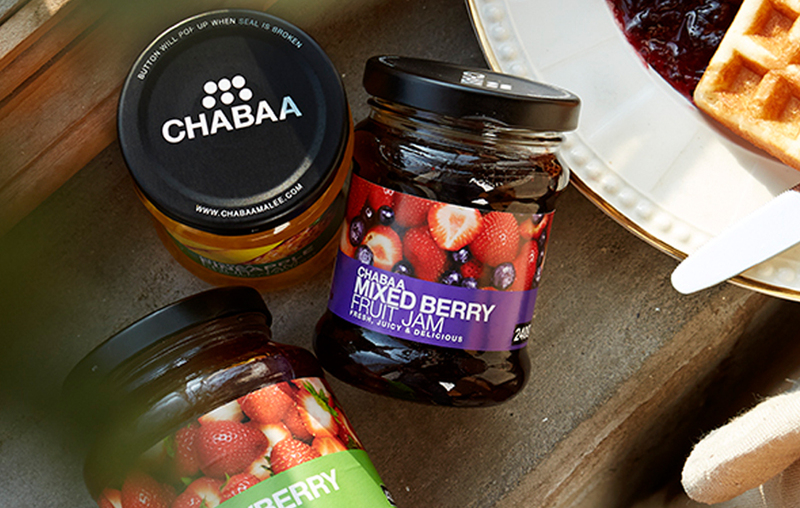 If you are real fan of berry, you should not miss CHABAA’s Mixed Berry perfect abundant of various types of berries. Delicious berry hold lots of nutrients that help protect cells damage. Enjoy the sweet and sour taste apple and grape also contain high Vitamin A and C that prevent common cold and improve immune system. Master of berry, Blackcurrant, contains high Vitamin C, a powerful antioxidant, is required for the production of collagen. Flavonoid may protect the body’s cells harmful free radicals . Potassium prevents dehydration and may helps deduction blood pressure. The ingredients in coconut water are way more effective at hydrating the human body than those of sports and energy drinks. 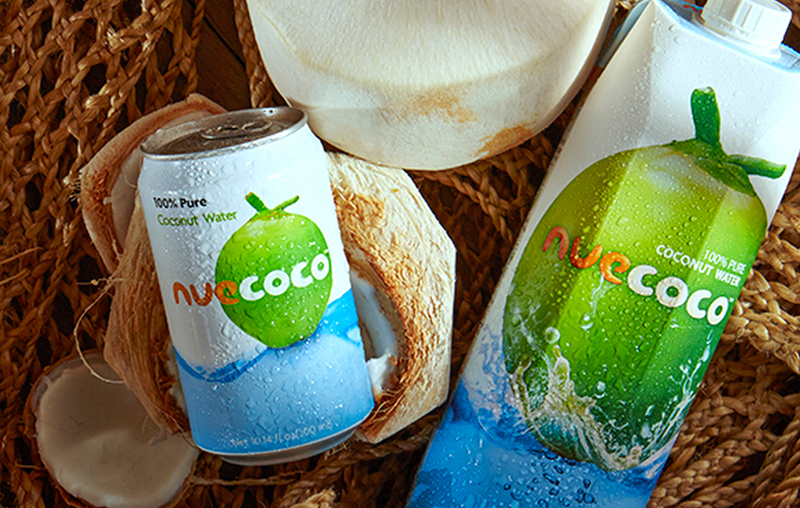 Coconut water contains five essential electrolytes that are present in the human body, one of them is potassium. Otherwise, it may help detoxifying and balance pH levels. Cool refreshing with grass jelly and it may help queasiness and reduce heat also. ed the best taste of tropical fruit mixed with juicy pineapple chuck , delicious with highly benefit vitamin C.
Cranberries are at the top of the list due to their high nutrient and antioxidant content but their also beneficial effects in preventing urinary tract infections (UTIs) . Well-balance between sweet and sour taste of tamarind is not only quench the thirst but contain extremely Vitamin C that helps skin nourishing boost for more significant radiant and Calcium may strengthen bone and teeth. Copyright 2015, Chabaa Bangkok Co.,Ltd.